News - Website of halfmoonbiosciences! Breeding season fears aired for threatened lesser noddy. Lesser Noddy bird that only breeds off WA coast tracked with tiny GPS device in hopes fro greater conservation. Surman CA, Burbidge, A.A and Fitzharding, J. (MS submitted). Long Term Population Trends in the Vulnerable Lesser Noddy at the Houtman Abrolhos, Western Australia. Corella. Surman CA and Nicholson LW (2016). Seabird Islands No. Leo’s Island. Corella, 40(1):17-19. Surman CA and Nicholson LW (2016). Seabird Islands No. Suomi Island. Corella, 40(2):43-45. Surman CA and Nicholson LW (2016). Seabird Islands No. Newman Island. Corella, 40(1):20-22. Surman CA and Nicholson LW (2015). Seabird Islands No. Gun Island. Corella, 39(4): 102-104. Surman CA, Nicholson LW, Santora JA (2012). Effects of climate variability on breeding phenology and performance of tropical seabirds in the eastern Indian Ocean. Mar. Ecol. Prog. Series 454: 147-157. Dunlop JN and Surman CA (2012). The role of foraging ecology in the contrasting responses of two dark terns to a changing ocean climate. Marine Ornithology 40: 105–110. Department of Environment and Heritage (DEH) (2012). Species group report card –seabirds and migratory shorebirds. Supporting the marine bioregional plan for the North-west Marine Region. Surman CA and Nicholson LW (2009a). El Niño Southern Oscillation and the Leeuwin Current influence on seabird reproductive performance and diet at the Houtman Abrolhos. J. Roy. Soc. W.A.92:155-163. Surman CA and Nicholson LW (2009b). The good, the bad and the ugly: ENSO driven oceanographic variability and its influence on seabird diet and reproductive performance at the Houtman Abrolhos, Eastern Indian Ocean. Marine Ornithology37:129-138. Surman CA and Nicholson LW (2009c). A survey of the breeding seabirds and migratory shorebirds of the Houtman Abrolhos, Western Australia. Corella, 33(4):89-98. McClatchie S, Middleton J, Pattiaratchi C, Currie D, Kendrick G (Main Authors) with contributing authors: J Baker, S Bryars, C Burton, R Campbell, N Caputi, G Collings, C Dixon, J Fromont, P Gill, D Gaughan, N Goldberg, S Goldsworthy, M Kangas, H Kemps, A Linnane, N Loneragan, S Mayfield, J McDonald, J McKenzie, L McLeay, M Morrice, L Nicholson, P Rogers, S Sorokin, J Stoddart, M Steer, C Surman, J Totterdell, D Trinder, L Twomey, P van Ruth, T Ward, G Westphalen, J Young (2006).The South-west Marine Region: Ecosystems and Key Species Groups, Department of the Environment and Water Resources. Surman CA and Wooller RD (2003). Comparative foraging ecology of sympatric terns at a sub-tropical, eastern-Indian Ocean island. Journal of Zoology, London. 259: 1-11. Dunlop JN, Long P, Stejskal I and Surman CA (2002). Inter-annual variations in breeding participation at four western Australian colonies of the Wedge-tailed Shearwater Puffinus pacificus. Marine Ornithology 30 (1): 13-18. Dunlop JN, Surman CA and Wooller RD (2001). The marine distribution of seabirds from Christmas Island, Indian Ocean. Emu 101: 1-6. Surman CA and Wooller RD (2000). Seabirds off the South-western Coast of Australia. Emu 100: 312-317. Surman CA and Wooller RD (2000). Nestling escape behaviour in tree, bush and ground nesting tropical terns. Ibis 142: 320-322. Surman CA (1998). Seabird breeding schedules at the Pelsaert Group of islands, Houtman Abrolhos, Western Australia between 1993 and 1998. Rec. West. Aust. Museum 19: 209-215. Surman CA, Cheshire NG and Wooller RD (1997). Gould’s Petrel Pterodroma leucoptera off south-western Australia. Marine Ornithology 25: 70-71. Surman CA and Wooller RD (1995). The breeding biology of the Lesser Noddy on Pelsaert Island, Western Australia. Emu 95: 47-53. Surman CA (1994). 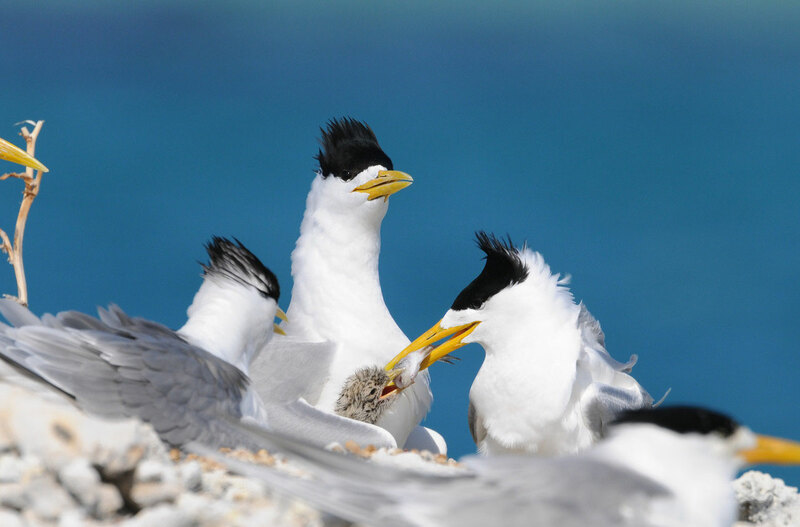 Some observations on the timing of breeding of seabirds on Pelsaert Island, Western Australia. Corella 18(2): 41-43. Surman CA (1994). Alarm behaviour of Lesser Noddies. Corella 18(2): 43. Surman CA (1994). New breeding record of the White-faced Storm Petrel Pelagodroma marina at the Houtman Abrolhos. Corella 18(4): 113-114.